This page provides information and links that will assist grantees in complying with three mandatory federal processes. These include: civil rights laws and regulations prohibiting discrimination in federally assisted programs or activities; Limited English Proficiency (LEP) guidelines; and, Equal Employment Opportunity Plans (EEOP). 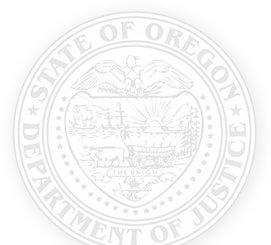 These processes are required of recipients of VAWA, VOCA, and SASP funding through the Oregon Department of Justice Crime Victim and Survivor Services Division (CVSSD). As the state administering agency for the Victims of Crime Act (VOCA) funds and the Violence Against Women Act (VAWA) funds, CVSSD has implemented three policies that recipients of federal funds must use to respond to discrimination complaints from their employees, clients, customers, program participants or consumers. For questions or help, please contact the CVSSD Civil Rights Complaint Coordinator, Shannon Sivell, at shannon.l.sivell@doj.state.or.us. CVSSD grantees receiving federal funds are required to inform applicants, participants and potentially eligible persons of the policy of nondiscrimination and the procedure for filing a civil rights complaint. CVSSD developed a “Civil Rights Fact Sheet” to assist grantees with the information required to be posted at locations open to the public and required to be displayed on all forms of communication available to the public regarding program availability. What is the Office for Civil Rights and What Laws Does It Enforce? What Obligations Do Recipients of Justice Department Funding Have to Provide Services to Limited English Proficient (LEP) Persons? What are the Civil Rights Laws that Affect Funded Faith-Based Organizations? What Civil Rights Protections Do American Indians Have in Programs Funded by the Justice Department? What are the Obligations of Funded Indian Tribes? What are the Standard Assurances and How Does the Office for Civil Rights Enforce Civil Rights Laws? Grantees must certify that they have completed civil rights training by signing the Civil Rights Training Certification form (PDF) » and uploading it into E-Grants. The Civil Rights Certification Form must be updated every two years. Click here for links to the specific nondiscrimination statutes and regulations to which CVSSD grantees receiving federal funds are expressly required to comply. This half-page poster offers specific language that programs can use to assert non-discrimination. Title VI of the Civil Rights Act of 1964 prohibits discrimination on the basis of national origin. Executive Order 13166, “Improving Access to Services for Persons with Limited English Proficiency,” requires all recipients of federal financial assistance to provide meaningful access to Limited English Proficient (LEP) persons. Individuals who do not speak English as their primary language and who have a limited ability to read, write, speak, or understand English can be LEP and may be entitled to language assistance with respect to a particular type of service, benefit, or encounter. CVSSD federal grant recipients are required to take reasonable steps to ensure meaningful access to their programs and activities by LEP persons. LEP guidance and requirements for CVSSD grantees receiving federal funds can be found at http://ojp.gov/about/ocr/lep.htm ». The EEOP analyzes a grantee’s labor market data and employment practices to identify possible barriers to participation of women and minorities in the grantee’s workforce. For grantees that are required to develop an EEOP, specific instructions on how to develop a plan are included in OCR’s EEOP Short Form Builder, which may be accessed at http://ojp.gov/about/ocr/eeop_comply.htm ». The plan should be submitted to the US Department of Justice, OJP as indicated. The EEOP Short Form Builder also provides a process to help you determine if your organization must file an EEOP. The OCR website includes information about when an EEOP is required and how to develop an EEOP: http://ojp.gov/about/ocr/faq_eeop.htm ».